The brewery is celebrating its third anniversary next month. The impressive list of North Idaho craft breweries continues to grow, but for the past three years, one brewery has stood out as a fan favorite. 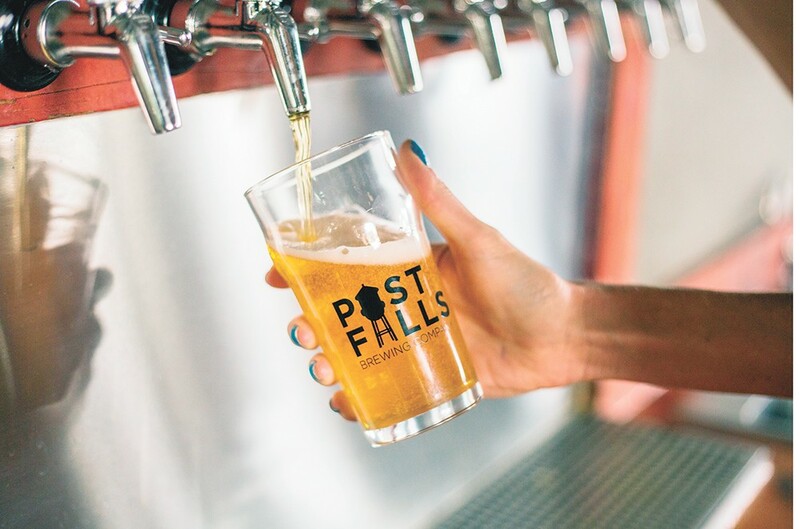 Since its start in 2016, Post Falls Brewing Company has become no stranger to being dubbed "North Idaho's Best" by Inlander readers. They won the honor for North Idaho's Best New Brewery in 2017, then secured North Idaho's Best Local Brewery last year. The brewery and taproom, located across the street from the Post Falls water tower, has become a meeting spot for locals and a destination for visitors to the area. Co-owner Dan Stokes says he always wanted a "community vibe" for the brewery, and appreciates everyone who backs that idea. "It's awesome to get all the local support," co-owner and brewer Alex Sylvain adds. "And people from Seattle all the way to the East Coast have came out to visit us." Larger than most regional breweries, the 15-barrel brewhouse produces a wide range of styles and is constantly experimenting with new ones. In 2018, Sylvain added a new beer to the brewery's core lineup — My Pony. It's a New England-style IPA that clocks in at 7 percent alcohol by volume and is single-hopped with Simcoe. He's also been producing an ongoing series of single-hop Hazy Double IPAs called the Stallion. Version four with Amarillo hops is currently on tap at the brewery. "Rotating small batches gets people excited about our stuff," Sylvain said. Post Falls Brewing also amped-up Spokane distribution earlier this year. In the coming months, more local restaurants and bars will feature tap handles donning the water tower logo. Next up for the brewery is a celebration for its third anniversary. Sylvain says you can expect to see live music from local acts spread out between April 19 and 20, as well as special beer releases throughout the weekend. The original print version of this article was headlined "North Idaho's Best Local Brewery: POST FALLS BREWING COMPANY"